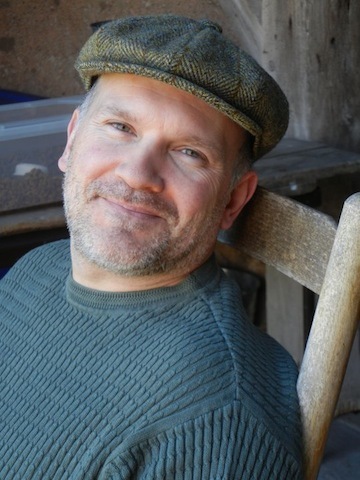 Dan Cafaro’s Atticus Books is as good an example of a writer’s passion for literature and the desire to bring new voices to the stage as any in the industry. Unlike presses funded through universities or backed by large business/organizational interests, Atticus is a model for the truly independent publisher, existing thanks to the collaborative efforts of its editors and artists. Although this makes financial success a more difficult goal, Cafaro and his staff represent a growing movement in the indie world that believes the art, and the artist, are more deserving of attention than the bottom line. To that end, Cafaro continues to work full time to help support the company, which has restricted the amount of time he’s able to spend on his writing, but he maintains a writer’s sensibilities when it comes to the state of the art. JP: How long have you been a publisher? DC: I’ve been publishing books under the imprint, Atticus Books, since our debut title, Fight for Your Long Day, launched in September 2010. I’ve been in publishing of some form or the other for 12 years and print media for 25+ years. JP: Approximately how many books has your company published in that time? DC: Atticus now has 16 books under its hood with a few more gems lined up for assembly within the next year. JP: What percentage of your published books are Fiction? Poetry? Nonfiction? DC: We’ve published 15 books of fiction and 1 spanking new book of non-fiction (Paper Dreams: Writers and Editors on the American Literary Magazine). JP: What is your mission statement and/or philosophy? DC: Atticus is in the business of supporting the works of starving writers worldwide. Mind you, we’re not necessarily buttering their bread or helping to feed their children, alas, but we’re at least collaborating in earnest to mend their bruised egos and get their distinct voices heard. JP: What’s your business model: is everything done in house or do you contract work such as copyediting, proofreading, cover design, etc? DC: We’re a hybrid, democratic beast in that we do some tedious things in-house and many remarkable things outside the house and through the meandering wood. Our nimble team of editors, graphic designers, marketers, publicists and web masters helps us form what may resemble a small American business. But what in reality is a joint creative web-based colony that masks as a publishing enterprise. JP: Do you have previous editing/publishing experience? JP: What made you decide to get into publishing in the first place? DC: Writers don’t need a reason to write; writers need a reason why publishing should care about them in the first place. I think the reason I first started selling books was because I didn’t have the discipline to write books, but I loved them so dearly, I saw an opening to try my hand at selling them. Trade publishing was much the same for me. I didn’t know how to work the ropes but I had this burning hunger inside to climb them. JP: What were some of the hurdles you encountered, particularly those you didn’t expect? How did you overcome them? DC: A lack of seed money is the greatest hurdle for most independent publishers to overcome. However, you’d have to be living under a rock to not expect cashflow to pose a problem for a small press. I didn’t expect, however, the difficulty of being on this side of the rejection slip. I didn’t realize how hard it would be to keep up on correspondence with writers who deserve to build a dialog with a publisher who is not after their wallets, but interested in their words. I’m not sure I’ll ever be able to overcome those shortcomings of the profession. I guess if writers told me everyday that they forgave me my sins, I might be able to sleep better at night. JP: How has publishing interfaced with your writing? Do you write more? Less? How do you balance the demands of each discipline? DC: I prefer publishing the works of others because I find that I’m better at assessing literary talent than providing it. The role of publisher (in the traditional sense) is perfect for me because it doesn’t require me to face my own flaws as a writer, namely being too unstructured to religiously lay pen to paper. I write less because of my day job, not because of my commitment to Atticus. I’ve always produced more as a writer when I got to choose when I wrote. I’ve never been good at having others dictate when the muse will make her uneven appearance. What can I say? My muse has ADD and I prefer dreaming to writing. JP: Have you been strongly influenced by the writers you decide to publish? For example, do you find you’ve opened your own writing to new styles and techniques you’ve encountered through publishing others? DC: I don’t like being influenced by my peers. I’m not an artist, but I often think that the working artist should be too busy and absorbed with her craft to let the world of others creep too far into her present state. I marvel at what our writers are able to achieve, but I’m not seeking affirmation of my own writing style. It’s an odd theory, perhaps, and may be construed as competitive or even envious, but I would much prefer being influenced by the smell of rain or the expression of my dog than by how a writer pulled off a back flip and stuck the landing. JP: How has your artistic vision been affected by your publishing experience? Are you more attuned to the commercial aspects of writing? DC: This is a terrific question. Becoming a publisher has made me much more self-conscious of what I write and why I write, which is not a healthy reaction at all. You don’t need to publish books or little magazines to be attuned to the commercial aspect of writing via performance art. I shiver at the amalgamated threat to organic writing as if all writing has morphed into a bit for a ratings-centric talk show. It may be acceptable if you’re writing for The Onion or if you’re bent on creating jingles, but the infotainment factor has infiltrated our daily narrative so deeply that it’s hard to resist having it interfere with your artistic vision. And you don’t need to be a (ahem) serious writer to see the risks in merchandising your words as you contrive them.